[HollywoodInvestigator.com] Remember the dispute between punk producer Marty Thau and the Heineken Beer Company, when Thau claimed Heineken's usage of the Red Star Records name was a violation of his rights? Heineken responded and claimed they didn't intentionally or maliciously violate anyone's rights, that since Thau hadn't trademarked the Red Star Records name back in 1977 they assumed it was free and clear, and since their beer bottle logo is a red star it made perfect marketing sense to call themselves Red Star Records now that they were in the record business. Well, Heineken didn't do its homework, because even without federal trademark registration, Thau is protected under "common law rights," having operated as Red Star Records for 26 years and releasing records by such seminal punk artists as the Ramones, New York Dolls, Suicide, Richard Hell and Blondie in the process. Red Star might have been small, but it wasn't invisible. 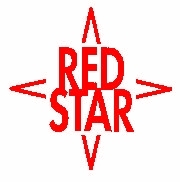 Thau agreed to settle this dispute amicably, proposing that Heineken use the name Red Star Sounds instead of Records and only release a limited number of urban music CDs per year with the acknowledgment that their Red Star entity was a nonprofit corporation designed to benefit urban musicians and not to be confused with Thau's Red Star Records, a rock and roll label. But it didn't quite work out that way. Heineken is not living up to its bargain and sticking to their urban music pledge. Thau contends that Red Star Sounds is now violating the terms of their agreement by sponsoring and promoting rock videos on Canada's Much Music TV network under the Red Star Sounds banner. Where this all goes remains to be seen. The big trend on Mad Avenue is for beverage companies to jump on the downloading bandwagon and offer free music premiums on bottle caps and labels. Apple Computer has inked a deal with Pepsi to give away 100 million downloads in a promotion that kicked off with a Super Bowl ad. Miller Brewing will give away Napster branded digital music players next summer, and other beverage suppliers, MP3 player manufacturers, airlines, and credit card companies are also getting in on the act. Pepsi works closely with Sony Music, and Coca-Cola has a similar relationship with the Universal Music Group. It seems that brand marketers, especially beverage companies, are hoping to establish broad connections between music and their products, and marketers are looking at all sorts of models for hitching their wagons to digital music. Some, like Heineken, are sponsoring rock music programming.